PUBG fans can download the latest PUBG Mobile Beta version 0.11.0, featuring a collaboration with Resident Evil 2 and new gaming mode from the link given below! 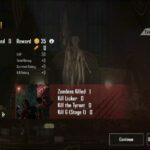 The new special gaming mode is called RE2: Sunset, which is a time-based event featuring in the Erangel map but with the additional Zombies twist. 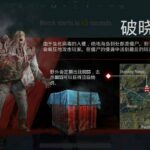 In the Erangel game, Bosses and Zombies from Resident Evil 2 will spawn, and killing them will get you loots, resources, and items. Another noticeable change in version 0.11.0 is the addition of the Moonlight weather condition to Vikendi. Also, in Arcade Quick Matches, you can select Sanhok map. 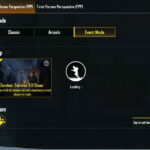 What is PUBG Mobile Beta version? 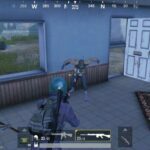 Beta version is a test version of PUBG developed by the official team of Tencent in order to test the game-play of future updates. For example, Resident Evil 2 zombie mode is not available in the stable channel. But it will come to the stable build in the next update. Till then, if you want to use it, you can opt the beta channel and feel the taste. But remember, beta versions are in developing mode. So, there may be some bugs, and your game experience might not be good enough. From the given link, you can download PUBG Mobile Beta V0.11.0 for both Android (APK file) and iOS devices. The Android file is about 1.7GB (approx), but do note that, you can not use social login in this beta version PUBG. So you have to play as a guest. Since this is a beta build, not a stable release, it is certain that you will face some bugs. But there is always a window to report a bug to the developer while playing the game. You can do that by using the Report button located at the top right during matches. Additionally, you can join their official survey page in case you want to submit more feedback. 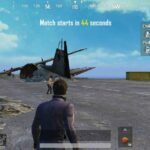 Did you play PUBG Mobile Beta version before? What’s your experience? Please do share in the comment section below! Previous articleOfficial Galaxy M10 and M20 wallpapers – Download now! Next article[CONFIRMED] A new Realme C1 variant is coming! Hi, buddy, I’m from Argentina, I can’t install PUBG via Play Store because of an error. I do not have enough space to update the game, so I decided to uninstall it and then install it again. But I had this problem with PS. So I came here to download the game so that i can play. I need you to tell me how to install since I actually have the files, but I don’t know how to proceed. In a video I saw I had to have 2 folders: 1 for apk, and 2 the files for the obb folder in order to have data for the app. I need if you can tell me which files I have to put in the folder. The APK says can’t open, so I opened it as a .zip format.